This entry was posted in Reviews, Videos and tagged Ekumen, Genly Ai, Genry Ai, Hainish Cycle, Kemer, Kemmer, Left Hand of Darkness, Ursula K Le Guin. She Will Build Him a City is a poetically written tale that follows a cast of characters including an elderly woman, an orphan, a killer, and a dog. Set in India in a variety of settings, Jha tries to thread together disparate stories. The story follows largely unnamed characters through their struggles in modern-day India, where despite living in a world of cell phones and modern medicine, most of the characters live in squalor, unable to afford even the most basic of necessities. The story incorporates elements of the unreal and magical realism. The stories are largely thread through two characters: an elderly woman whose daughter has left her and an infant named Orphan who, by a twist of fate, toddles out of the orphanage where he has been kept and into the world with only a stray dog as his guide. Jha’s novel isn’t so much a plot-driven story, nor is it a character study. It feels a bit fairy-tale like and meanders about, seemingly without purpose. Accordingly, there’s no really fast-paced plot, and there’s not really any character development. It seems more like a snapshot, blurred by magical realism elements. I think that can be appealing if it’s what you’re in the mood for. There’s a lot of uncertainty in the novel. It’s never really clear if some of the character are doing what they say they are doing (the killer character in particular) or if the character actually exists. Part of this appeals to me. I like a bit of mystery in my stories. However, I thought it was often too confusing and a bit disjointed. The characters and their stories’ endings often seemed rough and incomplete. I can’t really speak to the style much. The story’s grammar is going to be shifted around and some of the style may change as a result. Overall, I think I wanted to like this story more than I did. I’d give it a weak 3/5, but would say it’s promising. 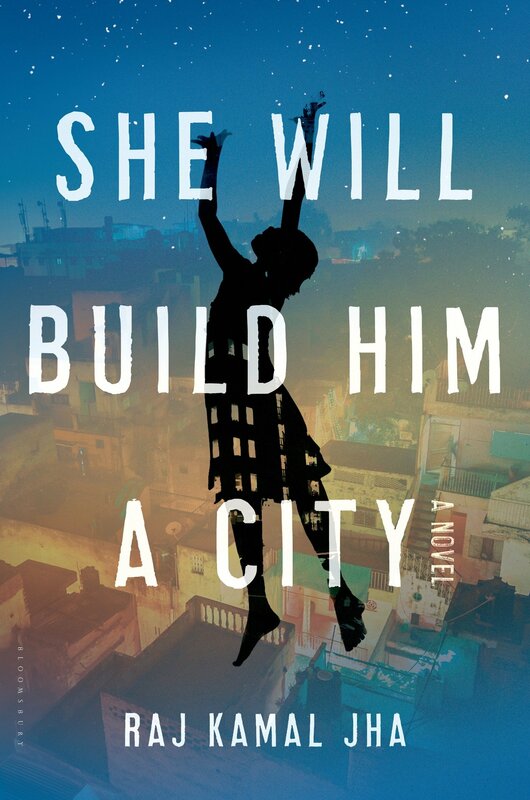 This entry was posted in Reviews and tagged bloomsbury, Book Review, Books, India, little house, magical realism, orphan, Raj Kamal Jha, she will build him a city. Prayers for the Stolen follows Ladydi (pronounced Lady Di), who recounts the stories of the girls in her village and that of her and her mother. This book reminds me very much of Sandra Cisneros’ The House on Mango Street. The subject matter in both books is similar, though Clement’s story isn’t written in vignettes and focuses less on the sense of a community. Prayers for the Stolen is about women working hard against their circumstances and a young woman’s observation of her female companions. Ladydi’s life with her mother is filled with betrayal and insecurity. Her mother is a drunk who resents everyone, quick to place blame on others and dedicated to the many grudges she holds. Ladydi’s mother is one of the more interesting characters of the novel. She’s got an uncertain sense of right and wrong, an unforgiving nature, and a temperament wont to change. Her mother is superstitious, believing in curses and that prayers for the things you want always go unanswered or worse. She is, however, utterly reliable. The portrayal is vivid and is often eerie. Ladydi is more often an observer than a participant in her story. When she does appear to be engaged, it doesn’t last long. Her excursion outside the mountain in Acapulco is quick and mostly displays her own naivety. She’s betrayed by the sole male child of the village and the consequences are extremely serious. Surprisingly, she doesn’t seem to resent him. This would be off-putting and overly saintly if she didn’t have moments where she channels her mother’s anger and bitterness. The story is slow at times and is more of a character study than anything else. The ending was a bit too sappy and convenient for my tastes. 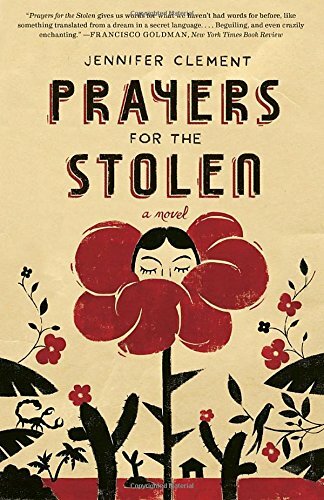 This entry was posted in Reviews and tagged Acapulco, book reviews, Books, Jennifer Clement, Ladydi, mexico, Prayers for the Stolen. Atlanta Burns, Chuck Wendig’s newest bind-up, follows a young heroine of the same name. Atlanta is surly, oddly compelled to do good, and very much haunted. Mostly she’s just getting through high school and trying not to give into sleep, where her past comes alive. When she’s awake and out of the house, she finds herself battling neo-Nazis, bullies, and corrupt police officials. Atlanta is Veronica Mars without the resources, friends, or safety of home. Atlanta is finally adjusting to life after her shooting her mother’s ex-boyfriend. She’s making new friends and regaining a sense of belonging, tentative though it may be. Her new friends, Chris and Shane, geeks to say the least, have attached themselves to her, despite her reluctance. Then Chris dies, supposedly of suicide. But Atlanta isn’t so sure. She was never too far from a vigilante and, now, her self-control is going to be tested. Atlanta herself is a decently complex character. She’s suffering from trauma, probably some PTSD and depression. She’s isolated. She will express frustration with others, and simultaneously long to be around people. She’s impulsive and has a serious sense of right and wrong. However, I found myself to be frustrated with her. I wanted to see her have a moment or two where she looks at her behavior, sees her problems, and wants to be different, even if she doesn’t have the will or ability to change. I wanted her to have a self-reflective moment. I also was a bit skeptical of her situation. After her assault, her mother’s behavior, and the nature of her self-defense, I was very surprised that Atlanta (1) didn’t have a state-presence in her life like a social worker, and (2) that there wasn’t any mandatory counseling. It just seemed a bit too unrealistic that there would be nothing, not even an incompetent of ineffective attempt at assistance for her. She also shoots a lot of guns at people without really seeming to ever get into any trouble, and there are a lot of violent sociopaths living in her town, going to her school. The side characters were interesting enough. There wasn’t a ton of development with them, but, by and large, they weren’t consistently present in the story. They’re all a bit gullible or unreasonably afraid of Atlanta. Her run-in with the police was violent, yes. People are scared she’ll do it again, but there were some pretty extenuating circumstances that led to her shooting a man. It seemed a bit unrealistic that everyone thinks she’ll do the same to them, also a bit too convenient. She needs leverage to keep the story moving, but I don’t know that the threat of her shooting people was really the way to go about giving it to her. 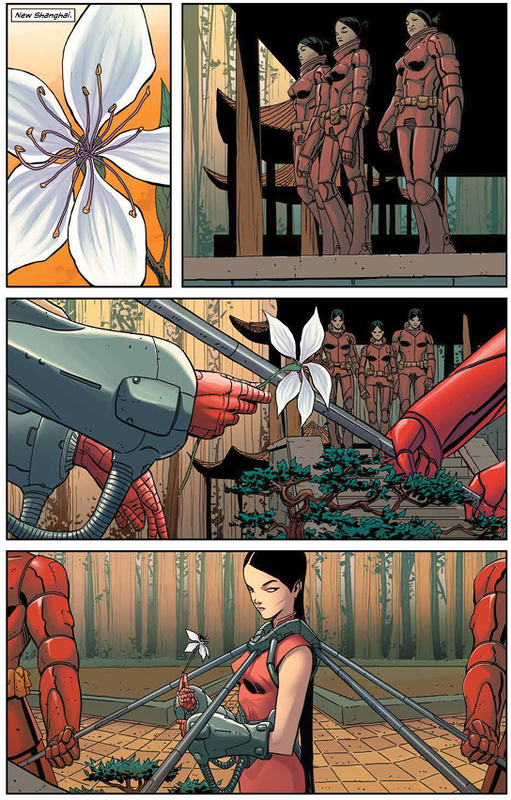 The story itself often feels episodic from one chapter to the next. Though there is an overarching plot and recurring characters, it doesn’t always seem to be very focused. It can be fun and fast-paced, but there are definitely times where it seems like the “main” plot has been abandoned or like there isn’t a lot of cohesion. I received a copy of Atlanta Burns for free in exchange for an honest review via Netgalley. This entry was posted in Reviews and tagged Atlanta, Atlanta Burns, book reviews, Books, Chomp-Chomp, Chris, Chuck Wendig, Mystery, Shane.